Source: ebook review copy from the publisher through BookLook Bloggers. A Wall Street broker, a party girl, a student, a homeless man, an addict, a teenage mom, a drug enforcer—all of them spiraling out of control. Each has a reason to despair and a wound that won’t heal. Until something unexpected happens—something that will change their lives forever. The Rescue tells the powerful, true stories of men and women whose lives should have ended badly but didn’t. What happens to each of them will take you by surprise and give you hope. It will restore your sense that no matter what you are facing, Someone good is in control of the universe. Fortunately, that Someone cares about you. If you or people you care about are facing challenges beyond their strength, it may be time to experience The Rescue. 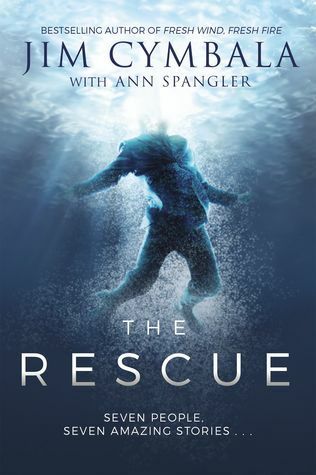 The Rescue is a collection of 7 testimonies by Christians about how they came to faith. They came from different backgrounds, but each had a life of pain that felt empty and out of control until God reached out to them in different ways and brought healing and peace. To quote the last woman, Toni, "No matter how painful your story has been, or how much shame might be hiding from yourself and others, God is strong and loving enough to deal with it. He's also creative enough to use everything--even the worst things--to accomplish his good purposes. If you let him, he will turn your life into a story that you will cherish..." This book seems intended for people who do not believe in God or who don't have a close relationship with him yet. I review Christian nonfiction books and DVDs on this blog. These include books on spiritual growth, theology, apologetics, Bible background, Bible reference, Bibles, and Bible studies.